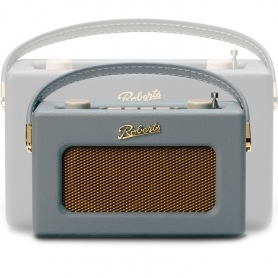 Roberts has created a beautifully styled, retro radio that will look stunning in any room. 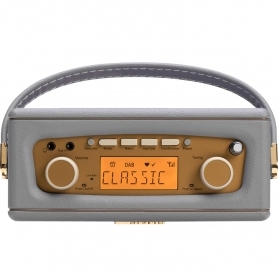 Listen to a huge range of stations in style with the REVIVALUNODG. 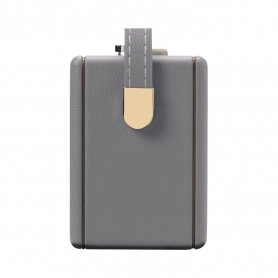 Plug in a USB device to listen to the whole of your music collection on the REVIVALUNODG. This Roberts radio is also compatible with a range of RDS wavebands including DAB/DAB+/FM, so you can listen to all of your favourite stations. Make mornings easier with the useful alarm function. Set two different alarms to go off either once, daily, on weekdays or at weekends. Pick your favourite DAB or FM radio station and wake up to the latest news or music. Your Roberts radio will even gradually increase in volume, letting you wake up slowly to feel more refreshed. Does it take a bit longer to wake up sometimes? Make use of the snooze function and catch up to 20 minutes more sleep. And, the adjustable backlight makes the REVIVALUNODG perfect for your bedroom. 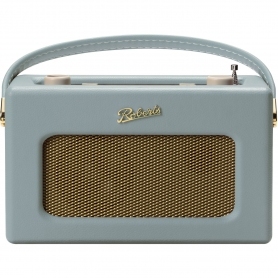 Roberts has designed this radio with you in mind. The Roberts Revival UNO radio couldn’t be easier to control, with an easy-to-read LCD display. You can also enjoy your top radio station at the touch of a button with the favourite feature. Save as many DAB and FM stations as you’d like with the useful pre-set function. 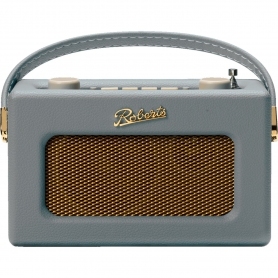 Enjoy the stylish, versatile Roberts Revival UNO radio and listen to all your favourite stations. Get yours today.